Foreign travelers to Sri Lanka are required to either have a visa or Electronic Travel Authorization (ETA) to enter the country. Since January 2012, all holiday or business travelers—except Singapore, Maldives and Seychelles nationals—must have ETA to enter Sri Lanka. Sri Lanka has four types of visas. Visit visas grant entry for foreign nationals to Sri Lanka. There are two types of visit visas: Tourist visit visa and Business Purpose visa. 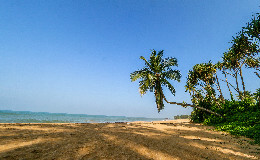 Sri Lankan government defines a tourist as a person who comes to Sri Lanka for the purposes of “holidaying, visiting friends and relatives, medical treatment including ayurvedic and yoga, participate in sporting events, competitions and activities relating to cultural performance” for a short period of time. Those who come to Sri Lanka intending to do business for a short period of time are required to have the Business Purpose visa. Tourist visit visas can be obtained from Sri Lankan missions overseas. (This is recommended only for those who cannot apply for ETA online.) Visit visas are normally valid up to three months. Visit visas can be extended or renewed up to six months at the Department of Immigration and Emigration (Head Office) located 41, Ananda Rajakaruna Mawatha, Colombo 10, Sri Lanka. Sri Lankan dual citizens, and travelers up to 21 years of age either born in Sri Lanka to Sri Lankan parents, or whose births have been registered under section 5(2) of the Citizenship Act of 1948, are eligible for visa exemptions. Sri Lankan government strictly requires that visit visa holders do not “engage in any form of employment, paid or unpaid, or in any trade or business other than that specified in the visa” during the stay. Period of validity for visit visas depend on the date of entry to Sri Lanka. Guidelines for visa documentation, fees and eligibility requirements can be viewed here. 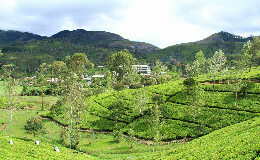 Travelers are strongly recommended to obtain ETA to enter Sri Lanka. The ETA system is online and is easily accessible without delays. 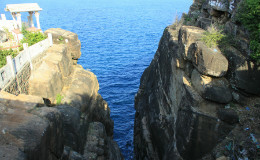 The Sri Lankan Government specifically introduced ETA to promote and facilitate tourism to the country. ETA can be obtained without “passport copies, documents or photographs” and does not need to be endorsed on a passport. Once obtained, ETA is valid for one month, and can be extended up to six months. Travelers can apply for ETA online at www.eta.gov.lk/slvisa/ or at the port of entry. However, delays are frequent at airports and other ports of entry therefore it’s best to apply online. More information on applying for ETA, fees and eligibility are available here. The Bandaranaike International Airport (BIA) is the primary airport servicing the city of Colombo. 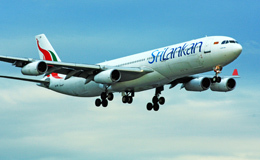 It serves as the hub for Sri Lankan Airlines, the national carrier of Sri Lanka.